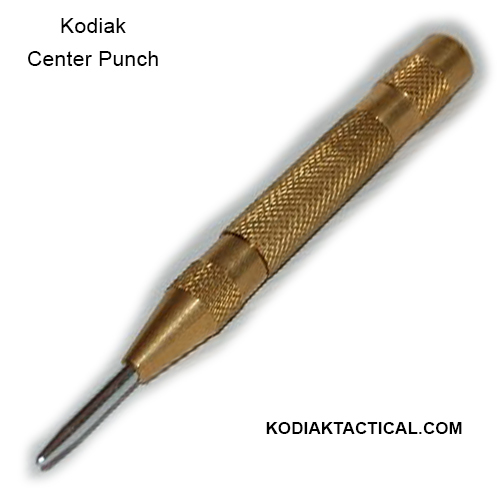 Kodiak Center Punch is a compact and powerful Center Punch that fits easily into a pocket or utility pouch. This small tool is a necessity for every operator or patrol officer. 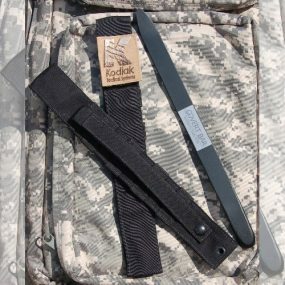 An ideal, inexpensive tool for safe vehicle extrication, or breaching glass in emergency or tactical operations.. The Hardened steel tip breaks glass with consistent striking power. The lightweight, knurled, brass handle is corrosion resistant and is spring loaded and turns to adjust for light or heavy strikes. 5” long.